January 7, 2018 by Nathan K.
January 3, 2018 by Nathan K.
Tonight an era has ended. November 5, 2017 by Nathan K.
Not to hurt our humble brethren is our first duty to them, but to stop there is not enough. We have a higher mission – to be of service to them whenever they require it. Today I am not hearing a voice so necessary to the policy conversation. So I am supplying it. I am a November 5th refugee. The November policy instantly created refugees. As refugees we have no privilege in the church, although we used to be dripping in it. As refugees we used to have a home among the saints, although now we are gathered in camps along the outskirts and borders. As refugees we once felt safety in the stakes of Zion but now live with the continual threat of spiritual terrorism. 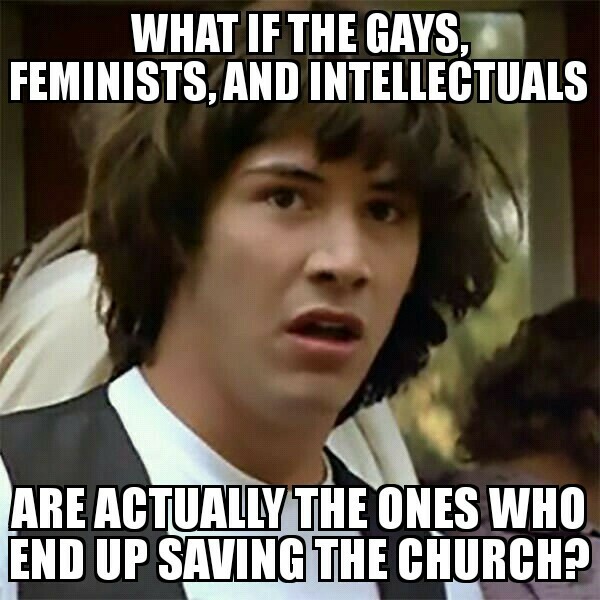 September 29, 2017 by Nathan K.
The dangers I speak of come from the gay-lesbian movement, the feminist movement (both of which are relatively new), and the ever-present challenge from the so-called scholars or intellectuals. Our local leaders must deal with all three of them with ever-increasing frequency. In each case, the members who are hurting have the conviction that the Church somehow is doing something wrong to members or that the Church is not doing enough for them. It has been 24 years since Boyd K. Packer identified his three dangers of the church. Today we are beyond an “ever increasing frequency” of those who are hurting. We are witnessing a Niagara Falls of those who are hurting and it is morally unfair to villainize gays, women, and intellectuals as the cause. September 20, 2017 by Nathan K.
And Jesus went into the temple of God, and cast out all them that sold and bought in the temple, and overthrew the tables of the moneychangers, and the seats of them that sold doves, And said unto them, It is written, My house shall be called a house of prayer; but ye have made it a den of thieves. June 28, 2017 by Nathan K.
It has been record setting hot in Arizona this past week. Pictures flooded the internet of street signs melting and eggs frying on the sidewalk. This also happened to be the week my daughter was married. May 12, 2017 by Nathan K.
On Thursday the Church of Jesus Christ of Latter day Saints announced that it was eliminating the Boy Scouts of America’s Varsity and Venturing programs for all young men ages 14-17 in the United States and Canada. Many observers of Scouting anticipate that this is a prelude to a complete disassociation from the BSA in the coming years. Some believe that this announcement is a non-issue because the Varsity and Venturing programs were already in shambles, so this was just a formal acknowledgement of this reality.